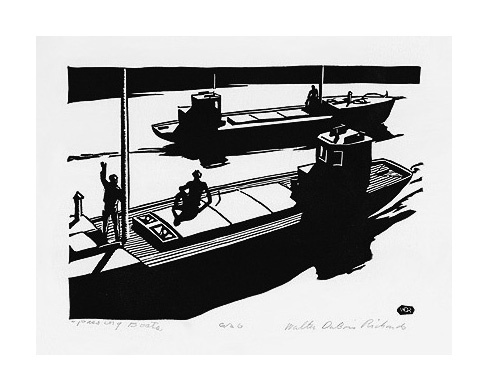 Passing Boats - - 1933, Linocut. Edition 26. Signed, titled and numbered 6/26 in pencil. Initialed in the block, lower right. Image size 5 1/16 x 7 1/16 inches (129 x 179 mm); sheet size 9 7/16 x 11 7/16 inches (240 x 291 mm). A fine, rich impression, with full margins (2 1/16 to 2 1/4 inches), on cream wove paper, in excellent condition. Mt. Tassen - - c.1945, Lithograph. Edition not stated. Signed and titled in pencil. 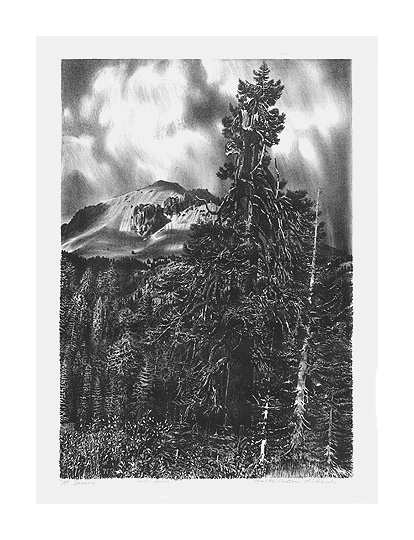 Inscribed ARTIST PROOF in pencil. Image size 20 1/8 x 14 1/8 inches (511 x 359 mm); sheet size 24 1/4 x 18 1/2 inches (616 x 470 mm). A clean, rich impression, with full margins (1 3/4 to 2 3/8 inches), on heavy off-white wove paper, in excellent condition.